If you’re not a fan of Doctor Who, you probably wouldn’t know it, but the recent episode “Kill the Moon” has been divisive, to say the least. Most of the disagreement hinges on one thing: the believability of the plot. Scientific accuracy in science fiction is often a sticking point for fans. Some enjoy very “hard” sci-fi, kept extremely realistic by using only technology that is plausible today. These kinds of shows are rare, since that means no faster-than-light travel, no artificial gravity (which is very hard to film), no humanoid aliens, etc. The alternative is “soft” sci-fi, which bends the rules of reality for the sake of storytelling. On TV, this is often not just story-influenced, but influenced by the budget, as well. Star Trek didn’t use human-like aliens because they wanted to; they didn’t have a choice, as puppetry or stop-motion would be too expensive, and CGI wasn’t an option in the 60’s (and barely an option for TNG in the 80’s). 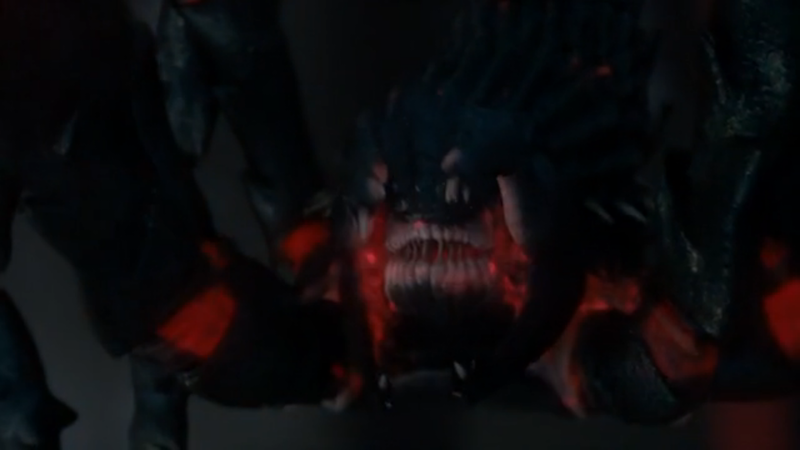 Even today, CGI often breaks the budget, so having CGI aliens in every episode isn’t possible. So why are some deviations from real science okay, and some not? While I don’t want to focus too much on “Kill the Moon,” some discussion of it is necessary, so spoilers for that episode ahead, if you care. In all fiction, not just sci-fi, there exists the concept of “acceptable breaks from reality.” That is, points where the world of the story deviates from the real world. This can range from the implausibility of having the fate of the world in the hands of five teenagers with attitude to a preposterously young starship captain to giant explosions with flat shockwaves. Now, in the end, the decision to accept or not accept these breaks is up to the viewer, but it is the writer’s job to make sure these breaks are decently explained and thus easier to accept. To keep rolling with the Star Trek example, their transporters are said to include “Heisenberg compensators,” which are able to reconcile the device’s function with the real life rule of physics known as the Heisenberg Uncertainty Principle. How do they work? Doesn’t matter, really; the writer doesn’t need to invent a new branch of science to justify his use of transporters. Simply acknowledging the problem and indicating it has been overcome is often enough to satisfy fans. 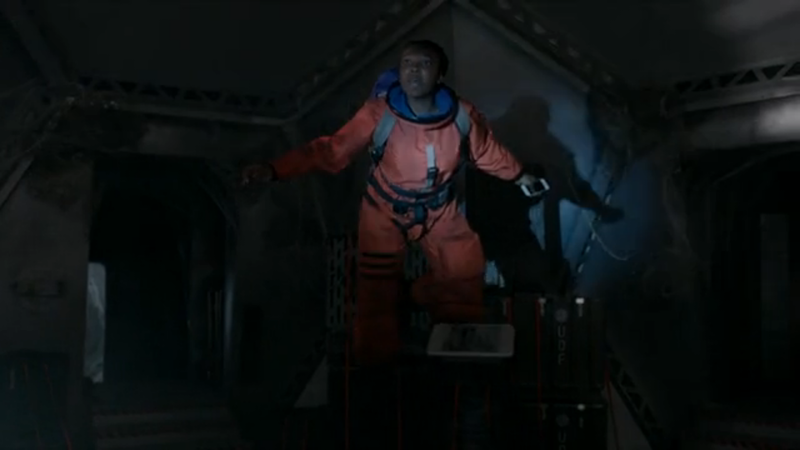 There’s no way for gravity to stop affecting her while still affecting the Doctor. But it happens, and no one finds it impossible. What kicked all this off is that in “Kill the Moon,” it is revealed that by 2049 the Moon has been mysteriously gaining mass, and causing high tides everywhere on Earth. This is explained by the revelation that the Moon is actually a giant egg, which has a growing creature inside it which is about to hatch. 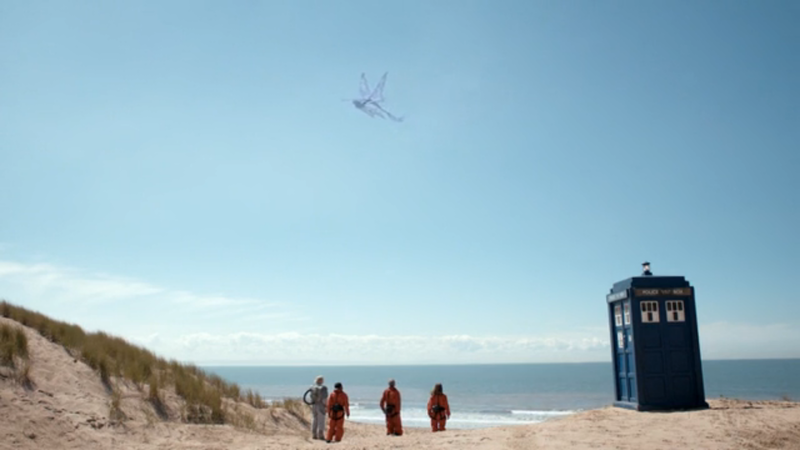 Also, it has alien spider anti-bodies that will try to protect it as Clara is left to decide whether to blow the whole thing up or let it hatch and risk the Earth being destroyed. Needless to say, almost everything about the plot makes absolutely no sense in the context of the real world. But why does that matter, when the show is about a time-traveling alien with two hearts and 13 lives who otherwise looks identical to a modern human? Can’t we just accept it and move on? I mean, it’s science fiction, and we’re already seeing impossible things, so why are these any different? It all comes down to execution and necessity. A good rule of thumb for anyone writing fiction is to keep your world as close to reality as possible. If there’s not a good narrative reason to violate the laws of nature, then don’t do it. Pretty simple. But the definition of what makes a good narrative reason isn’t always clear. Sometimes, it’s about maintaining what’s satisfying or creates a spectacle. The Death Star’s explosion may not be realistic, but it is climactic, and visually interesting, and that is necessary for a satisfying conclusion to the plot. In that case, we can excuse the departure from realism because it helps the story. And as I mentioned earlier, breaks from reality can be caused by the budget, too; the transporter was created in Star Trek to help save money by just teleporting the characters down to the surface instead of showing an expensive shot of a shuttlecraft landing every week. Now THIS is when you should be getting some tidal problems. But some are born of the actual narrative needs of the story itself. FTL drives are so common, for example, because without them it would take dozens or even hundreds of years to get anywhere, and the time dilation effect would ensure that any connections to home are rendered worthless to the narrative because Earth would have experienced a much larger passage of time. By utilizing FTL, we can get our characters to the strange new worlds where the story takes place without having to worry about these problems. These breaks can be even more specific to the story, too: we accept that stargates can open wormholes, and that these wormholes support one-way travel only, and that they stay open for exactly 38 minutes, which can only be altered through large gravity wells which cause time dilation on one side. The technology behind why is only important insofar as it’s used in the story, and as long as it’s consistent (which Stargate typically is) then we can accept that. The breaks we see in “Kill the Moon,” however, don’t have these narrative necessities to them. How is the Moon gaining mass, exactly? For a real life organism to grow, it needs food and nutrients, which are typically included in the egg from the moment it’s laid. So if this is an egg, which operates as Earth eggs do (and the show goes far with the metaphor to make it appear so), then it should already have had everything it needed to mature. But if it’s gaining mass, that mass needs a source, and that source can’t be the creature growing inside, unless it’s somehow able to create matter out of thin air or funnel it in from elsewhere (wormhole?). The story’s reasons for violating conservation of mass are not justified; there’s plenty of danger to be had from a creature hatching out of the Moon without having to force this nonsensical tide/mass angle on it. Prokaryotes aren’t usually known for their mouths full of teeth. Perhaps the most egregious break from reality is the description of the spider-creatures as being “unicellular prokaryotes,” which would essentially mean that these are absolutely massive single-celled organisms, and of a classification that describes the simplest of cells (as opposed to eukaryotes, which have organelles and a much more complex structure). This one is particularly troublesome because there’s literally no reason to establish them as such. Their status as single-celled creatures only matters in two ways: one, that being single-celled forces an analogy to an immune system (and indeed they are directly compared to white blood cells), and two, that they are easily defeated by Courtney’s antibacterial spray (which also makes no sense, but I won’t get into that). If you were to take that line out of the episode, it would change nothing. All the ideas would still be present and function as expected. So not only is this the most extreme, it’s also the least necessary. And that’s a huge no-no as far as writing goes. 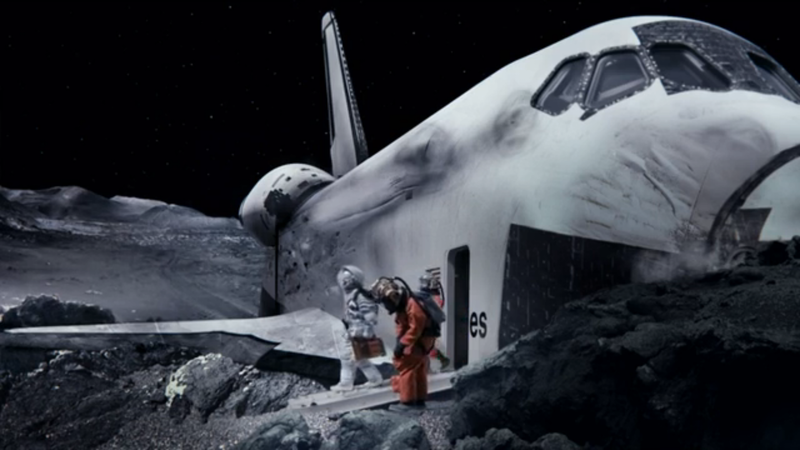 By contrast, the most recent episode (“Mummy on the Orient Express”) featured a train in space, which seems like it would be immediately in the same category. And yet, the space train riding on invisible hyperrails wasn’t problematic at all. Sure, it seems a little silly, but that’s fine in and of itself. The purpose of the train was to create a vibrant, retro atmosphere in which the story could take place; setting it aboard the real, historical Orient Express would have been a problem, as the story requires numerous futuristic technologies to function. Sure, there’s no particular reason why it had to be a train. Technically, all they needed was a ship with close quarters which could jettison individual modules as necessary. But in using the train atmosphere, and the Orient Express in particular, the episode is given a tie to the classical murder mystery, which the episode’s structure is clearly modeled on. It’s all about the Doctor investigating how and why the passengers are being killed, using reasoning and deduction. The unconventional choice of setting adds a new dimension to the story that enhances it, and the realism isn’t as important since the plot doesn’t integrate the breaks from reality as heavily. Scientific accuracy isn’t a mandatory thing for sci-fi; in fact, it’s important that it have some breaks from reality, as the ideas shown in sci-fi sometimes lead to the invention or discovery of the very technologies fictionally described in the story. Star Trek‘s communicators inspired flip-phones, and the tricorder served as the model for developing a very complex, general purpose diagnostic tool. The quest for a real life warp drive is one that continues to this day, and that’s not counting all the thousands of children inspired to take careers in science and engineering as a result of watching the show. Science fiction, at its best, helps us to dream of a better future, to propose new ideas and reason out a world where the ramifications of those ideas can be modeled and studied. By working through the potential problems in fiction, it gives us a way to experiment with things not yet available, and consider the societal implications of new technologies. Implications that aren’t always considered by those who invent them. Inspiration, experimentation, philosophical exploration… what more can you ask of your fiction than that?